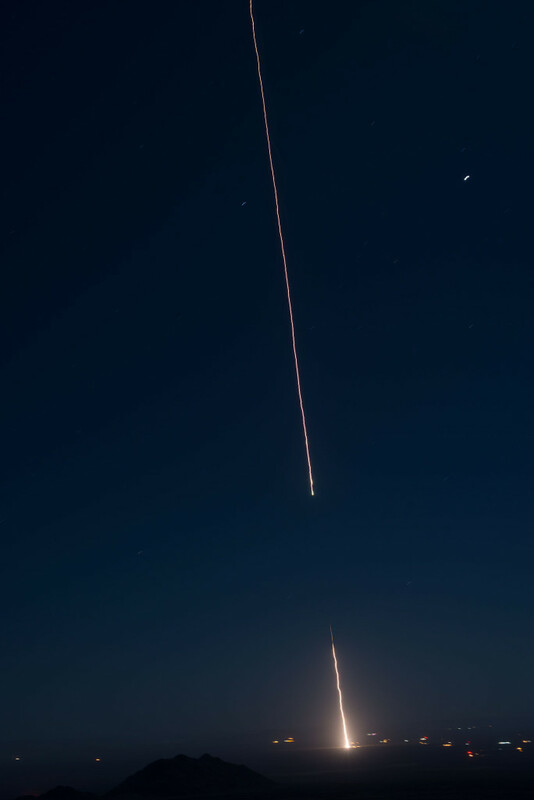 February 23, 2016 – The Colorado High-resolution Echelle Stellar Spectrograph, or CHESS-2, was successfully launched on Sunday, February 21 at 9:15 p.m. MST on a NASA Black Brant IX suborbital sounding rocket from the White Sands Missile Range in New Mexico. Science data was successfully telemetered to the ground during the flight and stored on-board. The team recovered the payload intact and verified that all science-critical subsystems were alive and well. CHESS-2 is an astrophysics payload developed by University of Colorado’s Laboratory for Atmospheric and Space Physics faculty, researchers, and students. This was the team’s second payload launch in two years to study the atoms and molecules in the interstellar medium. “Our observations allow us to measure the composition, motion, and temperature of this interstellar material in unprecedented detail,” said CHESS principal investigator and LASP scientist, Kevin France. The 1,108 pound CHESS-2 payload flew to an altitude of 191 miles (307 km) and observed several interstellar atomic and molecular transitions on the sightline towards epsilon Persei during the entire 400 seconds of available observing time with detector high-voltage on. Studying the interstellar medium allows investigators to look at two things. The first is to study the building blocks of future planetary systems. “These studies allow us to take a snapshot of the raw materials that were needed to develop planetary atmospheres, such as carbon, nitrogen, and oxygen,” France said. The second is to better understand the chemical and temperature structure of the Milky Way galaxy. “High-resolution absorption line spectroscopy of the sightlines towards UV-bright stars provides the richest set of diagnostics with which to simultaneously measure the temperature, composition, and velocity fields of the solar neighborhood,” said France, who is also an assistant professor in the Department of Astrophysical and Planetary Sciences at the University of Colorado Boulder. In addition to France, the CHESS-2 team is made up of LASP research associate Brian Fleming, and LASP graduate students Keri Hoadley, Nicholas Nell, Robert Kane, and Nick Kruczek. CHESS also serves as Keri Hoadley’s primary doctoral dissertation research. Several LASP undergraduates played important roles in the laboratory testing of the payload at the Astrophysics Research Lab at the University of Colorado. CHESS-2 built on the first flight of CHESS in May 2014. The launch was supported through NASA’s Sounding Rocket Program at Wallops. 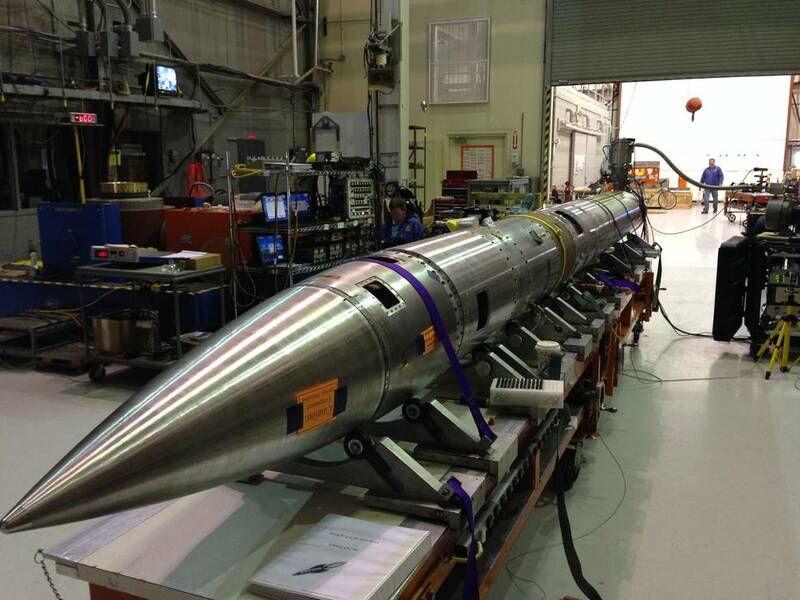 NASA’s Heliophysics Division manages the sounding rocket program.